One of the best designers in Paris to go to for high quality, subtly chic, contemporary-yet-timeless shoes and accessories is Avril Gau, and we're thrilled that she has just opened her second store in the capital, in the 1st arrondissement (46 rue Croix des Petits Champs, 75001). Gau opened her first store, on the Left Bank, two years ago, having set up her eponymous brand in 2002 after years of working for big names in fashion such as Chanel, Loewe and Robert Clergerie. So it's somewhat poetic that the site of her second own-name boutique in the capital was formerly a Robert Clergerie boutique - a sign that Gau is fast becoming an established name in the world of Paris fashion in her own right. 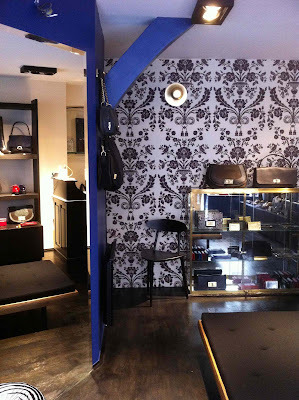 As with the original Left Bank store, the new shop on rue Croix des Petits Champs is painted in Gau's favourite shade of intense blue, while other walls are covered in the curlicues of a modern-baroque wallpaper. You will find the excellent quality flats, ankle boots, heels, shoulder bags and totes in Gau's signature refined palette, all made to a very high standard in Europe, and all for an exceptionally reasonable price for this level of design and craftsmanship. 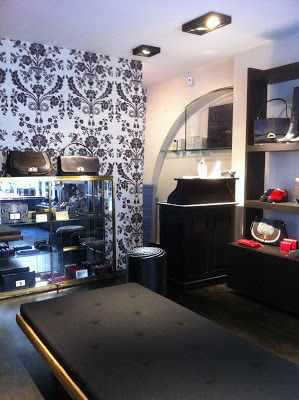 There aren't many high-end boutiques in Paris' 1st arrondissement where you can pick up a pair of shoes from €215 or a bag from €330 - you'd pay twice or thrice that for something Made in China, and here you get bonafide Parisian design made in France, Italy or Portugal. 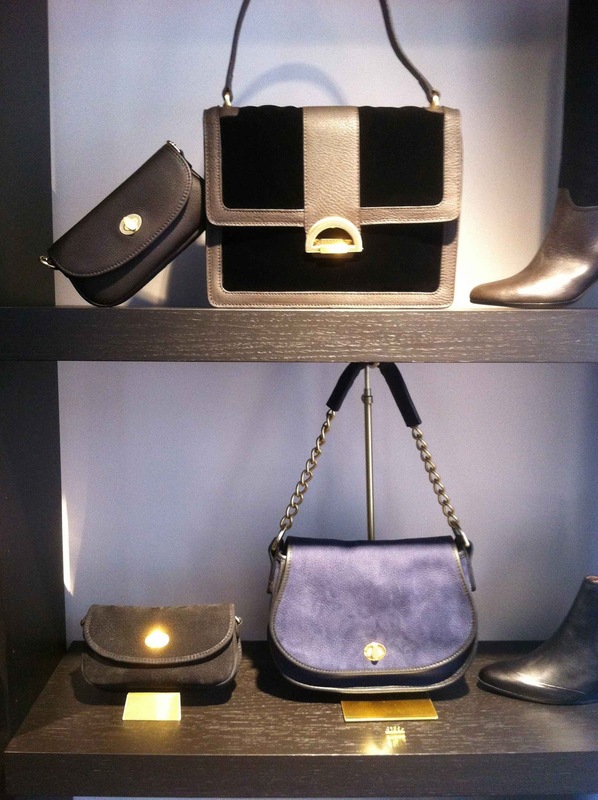 This is a boutique that should be firmly on everyone's list of where to go in Paris for super stylish, affordable bags and shoes - it's definitely on ours.